Status Graphite. 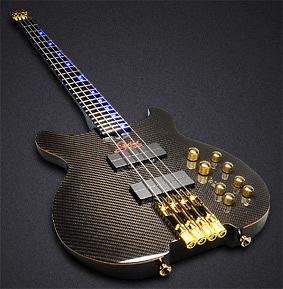 The finest hand-made graphite basses and guitars. Made in England. 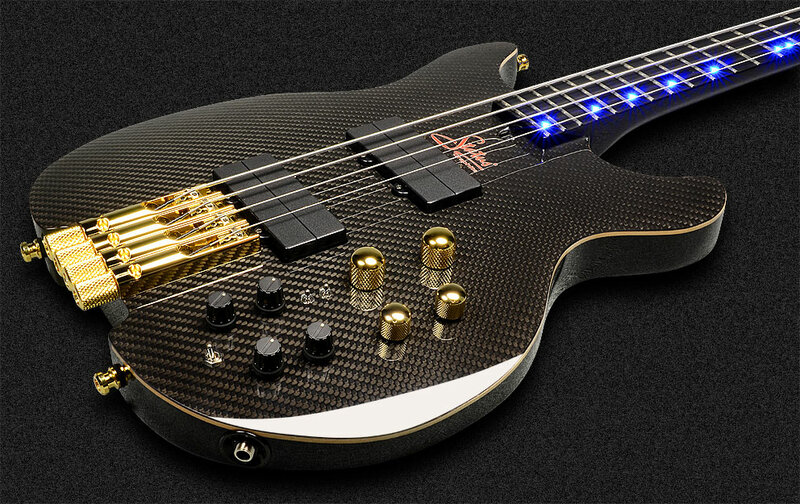 "Rob and I often tweak the KingBass design, but the Paramatrix isn't so much a tweak as a seismic shift"
The KingBass Paramatrix is the result of over 12 years development. 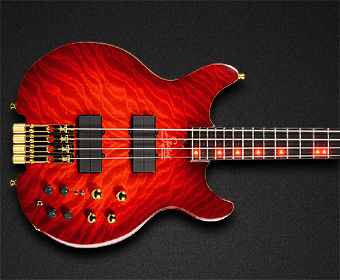 A radical active EQ design and Tri-Max pickups are at the centre of the transformation. all working independently to allow a vast range of tones. 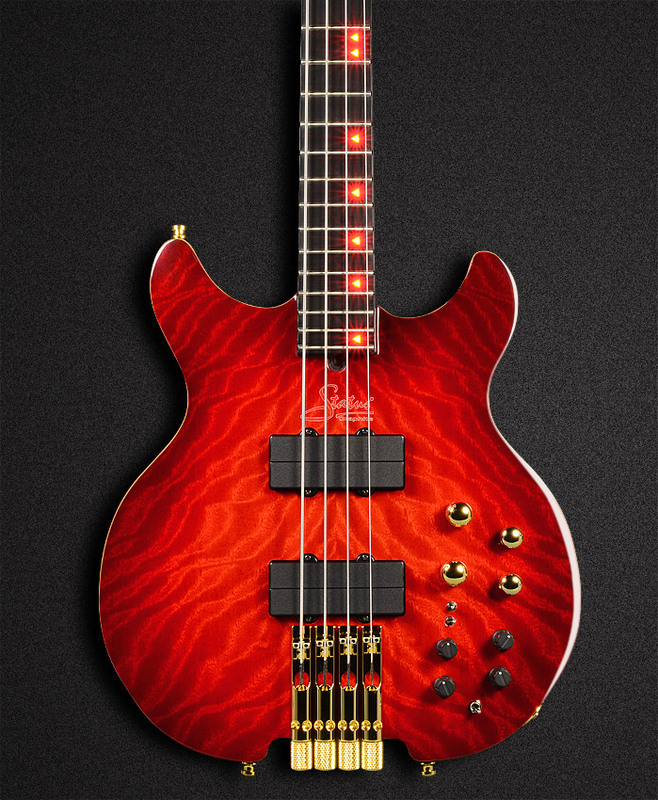 Each Status Tri-Max pickup uses a unique coil system and three position switch to select either side of the pickup individually or both at the same time. This allows 9 different options which can be blended together via the pickup balance pot. A side jack socket is fitted. A more defined front edge features a distinctive faux binding, complimenting the facing and back woods. 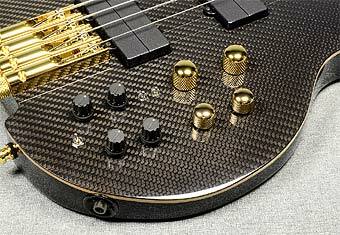 The woven carbon graphite through-neck is set into the main body before the facing veneers are laminated and vacuum pressed on. 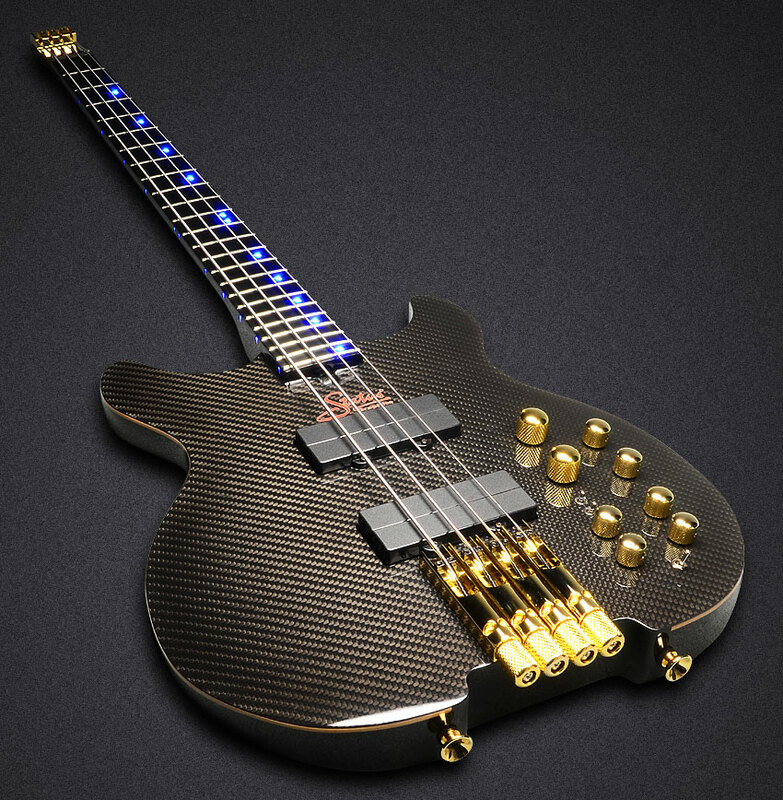 This reveals more of the fine woods used in this stunning instrument. Refinements include setting the woven graphite through-neck into the centre of the body, under the bookmatched front facing. This results in even better sustain and a more even response. 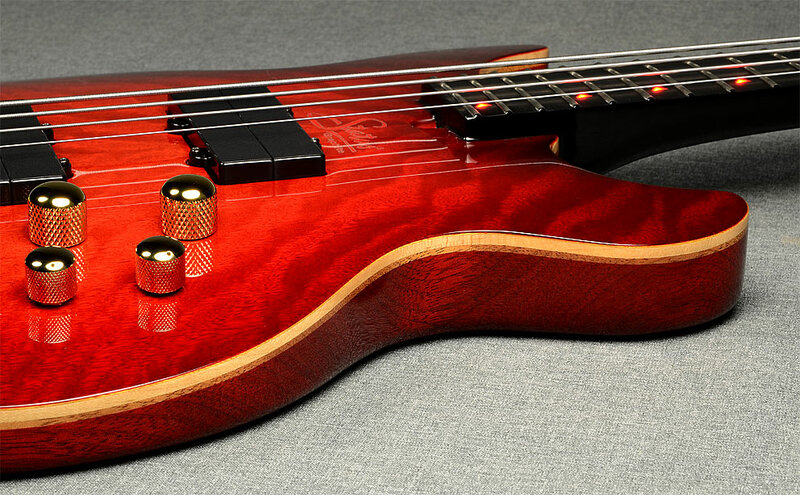 The classic arch-top, KingBass body profile is retained but the edge now has a natural faux binding as standard. 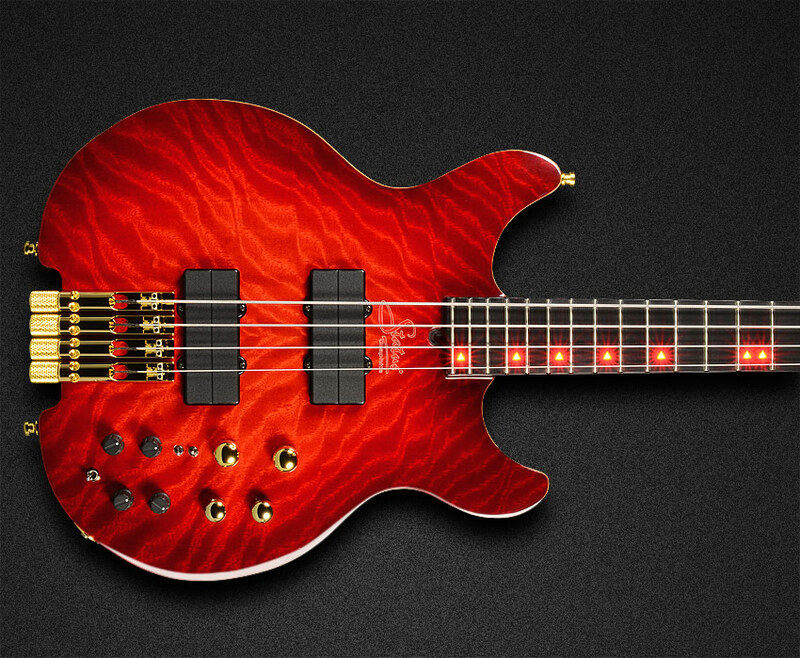 The headless, compact design allows the bass to balance perfectly and is amazingly comfortable to play no matter how long the set lasts. Headless mono-rail tuners and the unique head-piece are fitted. These have been designed by Status to work perfectly with both double-ball and regular single-ball strings. 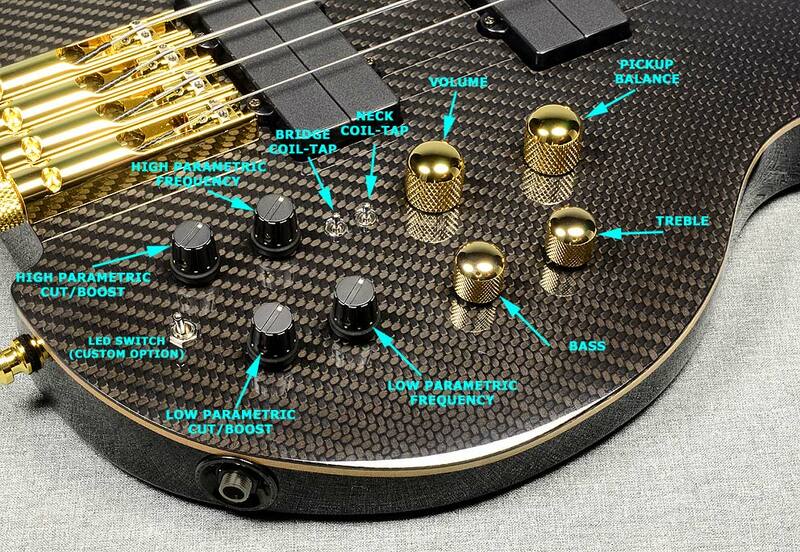 The bridge / tuner unit is fully adjustable to perfectly set the action and intonation.... once set, the bridge can be locked in place with the small Allen screws for maximum dynamics and sustain. Hardware is available in gold, black or chrome. Front or side LEDs are available as custom options. 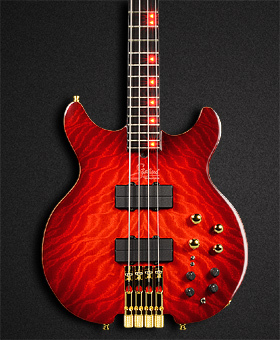 The front LEDs are a new "tri-star" design specially for the Paramatrix. Blue, red, green, white and amber are available. The 24 fret phenolic fingerboard has a regular 34" scale and 19mm string spacing as standard but the 32" scale, BendWell option and 16.5mm string spacing are available as custom options. 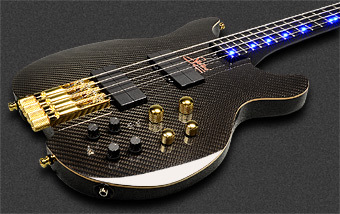 The Paramatrix is currently only available as a 4-string bass. 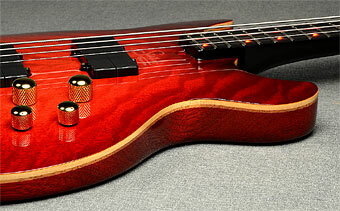 or micro-lined fretless at no extra cost. A selection of exotic wood facings is available. More photographs will be available soon. We recommend using Status Hotwire, double-ball strings but regular single-ball strings can also be fitted. 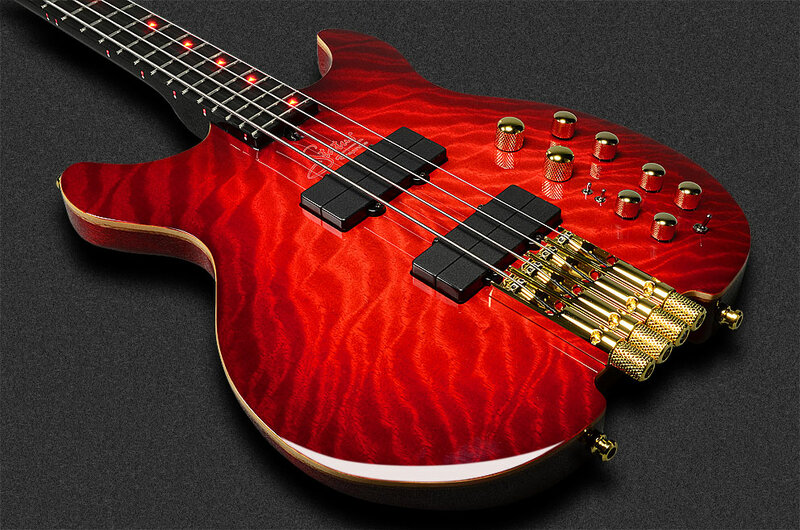 They can be locked into the head-piece with the Allen screws we supply with the bass.